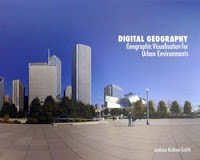 Digital Urban: Virtual Worlds Circa 1998: How Much Has Changed? Second Life, collaborative working, voice chat and others of the Web 2.0 world are so of the moment but the concepts were also all the rage in 1998. This post takes a look back to the day when if we had money we would have invested in virtual worlds - the next big thing. Hindsight is however a good thing as most of the worlds that showed potential in 1998 were lost when the web bubble burst, but if you think Second Life is new we think its just picking up the ideas from a decade ago. To communicate the user was required to press the ctrl key on the keyboard and talk into a connected microphone. 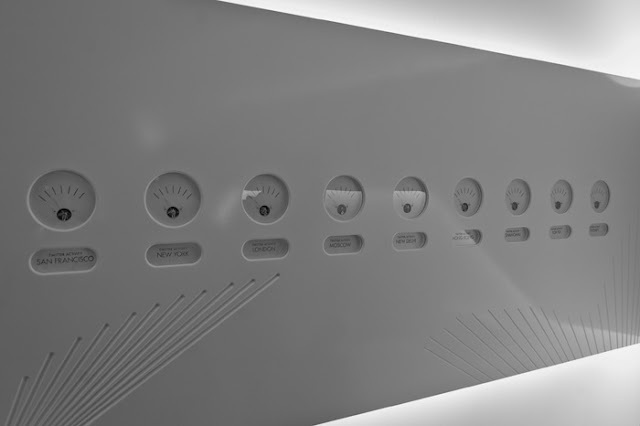 The user's voice was then encoded and transmitted into the virtual environment using automatic voice synthesis and three-dimensional audio. The result was real-time conversation with lip synchronised avatars. With the emphasis on lip synchronisation the avatars were represented as single floating heads which limited to some extent the level of perceived interaction with the environment. To be honest the three dimensional scenes were merely backdrops and the quality of the audio was often poor resulting in dropouts and confused conversations. Indeed, the most widely used phrase in Online was 'pardon', although at least in was in three-dimensional audio. Integrating whiteboards and powerpoint presentations is a central part of Second Life, especially for its use by business and academic communities. Setting up a powerpoint presentation takes time and requires scripting, Holodesk however had it built in. Holodesk was a VRML 2.0 based shared virtual environment from a Pittsburgh-based company called Telepresence. Voice chat was also built into the system but limited to two users at any one time compared to the multiple voice communication of Onlive. Notable additional features were the ability to communicate via shared whiteboards and views prepared graphic slide-based presentations within the virtual environment. A key limitation of using VRML for multi-user worlds was the inability for any changes to the world to be saved. In essence a VRML world was a scene which although offering some level of interaction did not involve any level of collaboration. 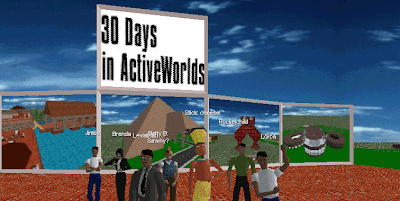 If we had bet on any technology system becoming main stream it was the ActiveWorld's browser, back in 1998 it did most of the things now possible in Second Life. ActiveWorld's was not by any means the first Virtual Worlds system but it, in our view, stands the test of time as one of the best. 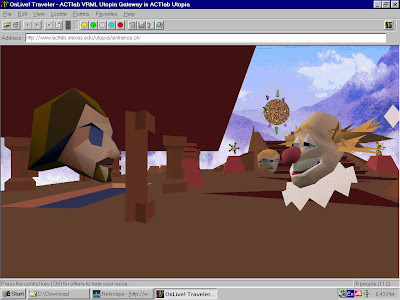 One needs to bare in mind that back in 1998 Internet technology was still developing and the ability to collaboratively build and share data in a three dimensional world where one is represented as an avatar was like viewing the future. In addition to being able to build from a large subset of objects the ActiveWorlds server could import objects in .rwx or Renderware format. This opened up the world of architecture with a direct input path from AutoCad and 3DStudio Max. If you take a look at The ARCH of note is the fact that one of the things architects and users in general are waiting for is the ability to import objects into Second Life from third party programs. 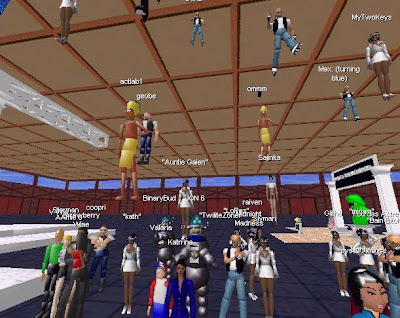 We guess most of the users are now to be found somewhere in Second Life, of note though is how quick users can be to change to the next big system. Internet hype arrives in waves of innovation, the current wave is Second Life, as for the next wave? 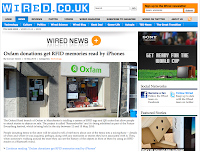 Wasn't there a rumour of a Google Virtual Environment last week? I'm also noticing that 3D Worlds is revamping for a comeback. That was probably the first environment that introduced me to the metaverse -- it's kind of nice to see them regrouping. May I suggest to push the birth of shared 3D world back before 1998 ? 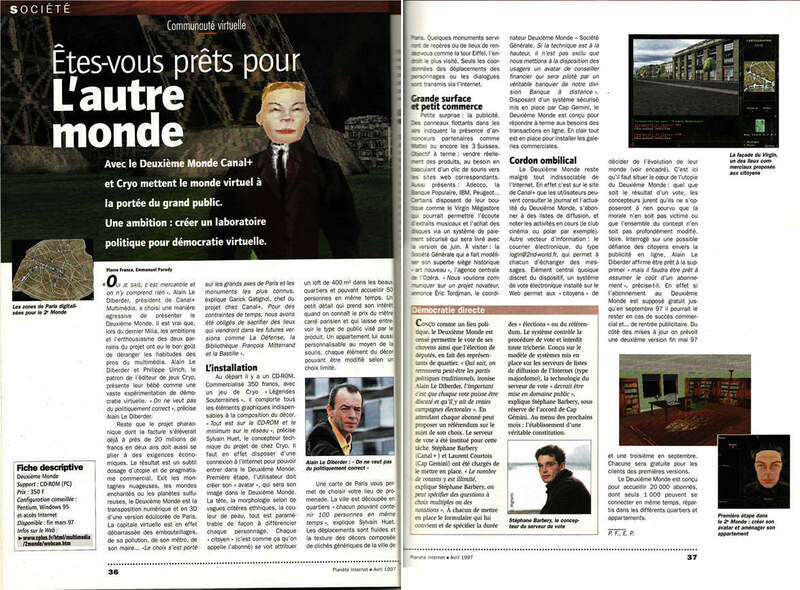 And one of the first very succesful one, was called "Deuxieme Monde" (see some picture at by Cryo and Canal+ ... in 1997. And last but not least, the networked building of virtual worlds is much much older ... and date from the MUD and MOO, well before the web itself. Of course, there was no visual 3D at the time, but you were able to build collaborative structures in which people would interract ! I agree Blaxxun was also a good browser and one that we used here at UCL. The post wasent meant to convey that the birth of shared worlds was 1998, just that all the aspects were in place by that date. Second Life is very nice game.